George Danzer made history earlier this week when he became one of a select handful of players to have won three World Series of Poker bracelets in a single year. Danzer won his third bracelet of the year in the AUD$5,000 8-Game Mixed event at the WSOP APAC after topping Scott Clements in heads-up play. The final hand of the mixed game event came when Clements decided to shove with Qs-6s during a round of NLHE. Danzer, who was enjoying a massive chip advantage over Clements at the time, decided to call with Jd-10s. A ten came on the flop and Clements was sent to the rail in second place. 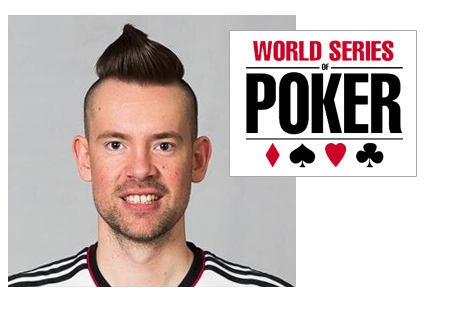 In addition to the AUD$84,600 first place prize and WSOP bracelet, Danzer also collected some more points in the World Series of Poker Player of the Year race. Danzer currently enjoys a 100+ point lead over the next closest challenger, Brandon Shack-Harris. Danzer is considered by many to be one of the top poker players in the world and his results from this year do nothing to disprove that notion.